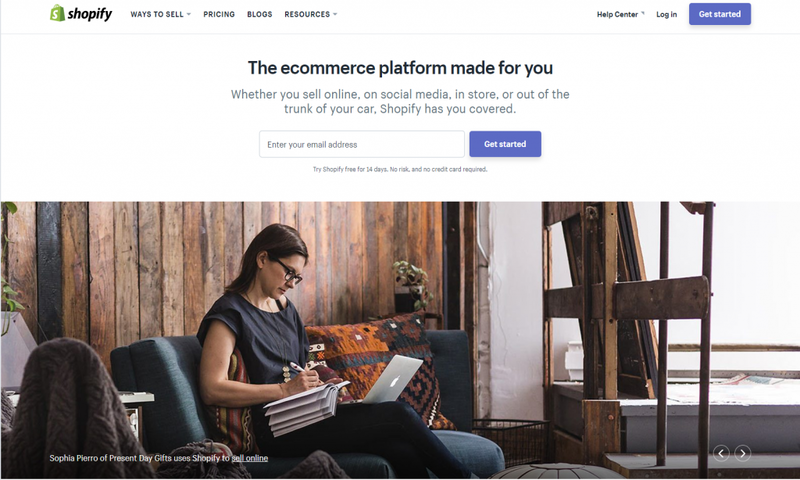 One of the world’s leading online website builders, the Canadian company Shopify has offered an all-in-one eCommerce solution since 2006 and is still going strong. It boasts powering over 500,000 online stores with the continuous goal to provide a simple solution to sell products online, without the need for technical know-how. Given that Shopify only offers a free trial, but no free pricing plans, we felt like there was something more to Shopify than meets the eye; over 500,000 businesses are paying for this online store platform, so what’s it all about? We dug a whole lot deeper to find out if the secret (or not so secret) Shopify experience truly lived up to it’s name. Shopify does offer a 14-day free trial, however, we wanted to take a look at their pricing options after the free trial. Shopify offer 3 different pricing packages, all offering no transaction fees and an unlimited number of products and file storage for an online store. The basic package is just that, however, we think it makes a great starting point for a small business looking to expand their online presence, and start selling to get the hang of things. At $79 per month, it’s a big leap from the standard product, but if your business is thriving, it could be the perfect package to continue your online store with, for the foreseeable future. The advanced package also knocks the external payment gateways fee down to 0.5% compared to 1% with the Shopify package, and 2% with the Basic package. Whichever pricing option you choose, Shopify guarantees that there are no setup fees with any of their plans, offering unlimited bandwidth, and a secure unlimited web hosting package to suit your business needs. As with any eCommerce platform, there are going to pros and cons; one platform isn’t going to suit all, so we’ve taken the time to find out the good and the bad so you can make an informed decision as to whether Shopify is the right platform for you. Over 100 themes – Shopify offers their customers over 100 stunning themes and templates to make their online stores look unique and professional. Shopify’s theme store enables their customers to choose from a collection of paid and free themes dependent on the industry your business caters for (e.g. jewelry, hairdressing, clothing, manufacturing, etc. ), so you can choose the right theme to fit your style of website. All of Shopify’s themes are checked for quality and compatibility to ensure that they work with the latest version of Shopify. Tools and Apps – It’s great being able to make a brilliant online store, but with Shopify you can do so much more. 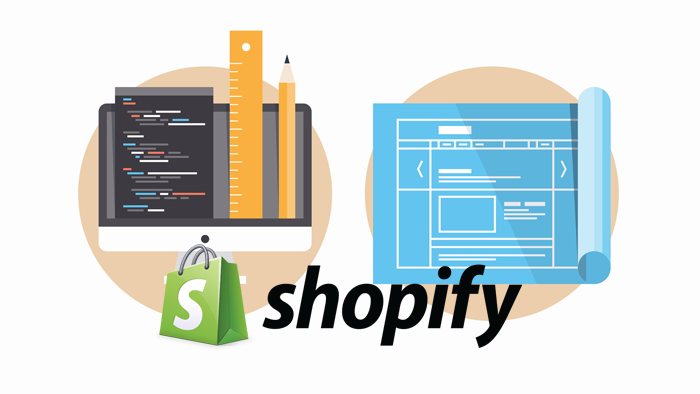 Shopify’s app store lets you choose from hundreds of apps to enhance your eCommerce website, such as, fraud detection apps, SMS notifications for abandoned carts, store credit add-ons; the list really does go on and on, and this is something we’re very excited about. Not only are these tools available, they are both free and paid, so you can choose and trial out different tools to suit your needs. Whether you’re looking for marketing and reporting applications, social media enhancement, or accounting, Shopify’s apps truly allow you to automate your eCommerce business, making it stand out above the rest. Expert Customer Support – Comparing our experience of Shopify with other eCommerce providers, Shopify is by far one of the, if not, the best out there for customer support. Building your own online store is a great feature, but you’re essentially left to your own devices, so if something does go wrong, or you don’t understand something, who do you turn to? Shopify provides quick and helpful answers to the questions we put to them; they’ve been supportive, informative, and won’t leave you in the lurch. Their database of FAQs are almost endless, yet if you’re still struggling to get hold of an answer, they have phone, email, and chat support at the ready – Shopify certainly excels in this area, we don’t think there’s any better support out there. Transaction fees – Regardless of the type of pricing plan you choose, Shopify charges a transaction fee for every sale you make through your eCommerce store, unless you use Shopify Payments – this essentially means that Shopify will charge you a % of your sales value, depending on the pricing plan you choose, which we’ve covered in the pricing section above. However, in the grand scheme of things, this % value only ever goes as high as 2%, which is essentially a payment to Shopify for powering all of your online sales and the technology behind the platform. Monthly payments – Covered in the pricing plans above, Shopify’s monthly payment subscription on the face of it can seem a little high; almost $300 per month for their top package. Although Shopify has a great amount of apps to choose from, a lot of which are free, if you do choose to install a paid app, your monthly costs could get a little pricey. However, again, we have to look at this in the grand scheme of things; how much would you pay an accountant monthly to manage your accounts? If you’re wise about your choices, you can keep your monthly costs down, just pay attention to what you’re adding onto your eCommerce site and be money-wise. One of Shopify’s main selling points is how easy it is to use, for beginners, technophobes, experts, etc. Regardless of your experience, you can pick up Shopify pretty quickly, with the comfort of their support should you need it. From the get go, Shopify is easy to to setup; its interface makes building a shop really simple, with the ability to insert product images, descriptions, and details with ease. You can manage your inventory of products and organise them into categories so it makes them easier to find for your customers. Shopify’s built-in discount code engine allows you to generate discount codes and promote them with ease, and when is necessary. The creation of your website, as well as online store is just as simple, giving you the option to add a blog to your store to keep your customers engaged. Shopfiy accepts payments from over 70 different payment gateways across multiple countries, making it a great platform regardless of your target market. Your customers can have their own account, so logging in, and return shoppers will also find the process easy. Dependent on the type of plan you take, you can manage multiple staff logins, setting permissions as you go to ensure your workforce is easily managed. The whole point of Shopify is that they do the hard work for you; your job is to focus on your business, and their pricing plans sure do reflect this. There is really no competition in this area; Shopify’s customer support is highly rated. Shopify respond to their customers in a very timely manner, providing quality information and support that is actually useful. They talk to you on a personal level, like a human being, and take the time to investigate any issues you are experiencing and ensure that any problems you have are resolved before you disconnect from their support. We love the fact that you can contact Shopify in numerous ways; via live chat, email, telephone, and of course they have an almost endless list of FAQs if you’re really stuck. FAQs and how-to guides, in our opinion, are essential for customers who need that little extra guidance, but like to figure it out for themselves in the first instance. In our experience, no other competition has come close to Shopify’s customer support – even if for some reason you weren’t 100% keen on their platform, their customer support alone would be a reason to choose them as your number one eCommerce platform. Once you’ve got your online store ready and customers are starting to trickle in, you’ll want your business to focus on marketing; more customers equals more revenue as we know. Shopify has all the tools ready for you to create stunning and showstopping marketing campaigns, with the ability to manage organic traffic, social media, and to continue to grow your brand. Shopify is a great choice when it comes to Search Engine Optimisation (SEO); it contains clean code, allowing customisable tags, meta descriptions, and more. Whether it’s SEO or AdWords, Shopify will have your back covered in all areas, making it simple to pull together a successful marketing strategy that will pull in potential customers to your landing pages. Even if you get stuck, there are 100’s of FAQs to help you out, as well as Shopify’s own YouTube channel, containing a plethora of ‘how to’ videos. There’s no doubt about it, Shopify is most certainly our favourite eCommerce store builder on the market. Shopify is easy to use, regardless of your technical background, making setting up a store extremely simple and stress free. Their customer support is at the top of their game, and we think that they know this! Shopify is ideal if you’re looking to setup an online store with a professional looking store front and a multitude of apps to help you manage your business, customers, staff, and much more. Shopify is a strong, stable, and flexible choice as an online platform, allowing their customers the freedom to personalise their eCommerce stores to their liking. Don’t forget, Shopify offers a 14 day risk-free trial to test the waters; we have no doubt that you’ll love it just as much as we do!